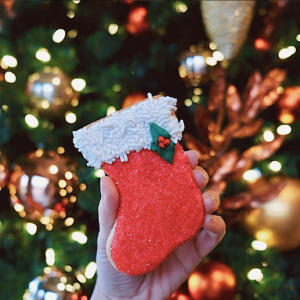 Holiday Shopping and Festive Fun at SOCO + The OC Mix! The holidays are almost here – take part in the festive fun that SOCO + The OC Mix has to offer while shopping exclusive sales + collections!For a full list of upcoming events + announcements, visit our website or follow us @socoandtheocmix! 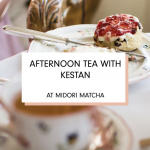 Join Kestan and Midori Matcha Café for a taste of the latest in fashion! Saturday, December 8, enjoy matchalicious sips + snacks while previewing Kestan’s first-ever complete handbag collection from 2:00-3:30 p.m. or 4:00-5:30 p.m. Tickets are just $30 and serve as credit towards your very own handbag! 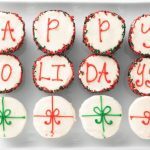 This season, SusieCakes is spreading holiday cheer by offering tons of fun, festive treats like the Holiday Box which includes a dozen assorted cupcakes + a holiday message, perfect for any family gathering! 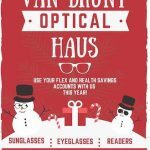 On Saturday, December 8, Van Brunt Optical Haus invites you to take a sneak peek at the latest Winter/Holiday collection from independent eyewear brand, Andy Wolf. Guests will also have the opportunity to pre-order the collection and give back to charity. All day long, Van Brunt will be donating a portion of sales to Operation Santa Paws – a nonprofit that helps to provide local animal shelters with food + supplies! Savory Spice Shop inside The OC Mix has completely revamped their gift sets just in time for the holidays! Stop by to shop a wide variety of seasonings + spices. 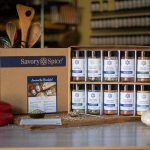 Plus Savory Spice Shop allows you to customize your gift set to meet any price point and flavor preference! Shop Small and Have Black Friday Fun at SOCO + The OC Mix! 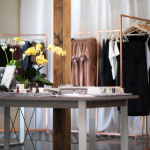 The holidays are coming – get a head start on your shopping this season at SOCO + The OC Mix! Enjoy exclusive Black Friday promotions and celebrate Small Business Saturday with tons of festive fun!For a full list of upcoming events + announcements, visit our website or follow us @socoandtheocmix! Shop Small With SOCO + The OC Mix! 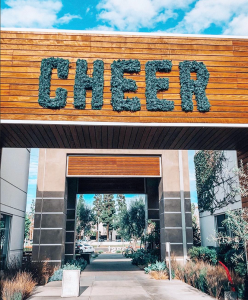 Support your local businesses this Saturday, November 24 from 11:00 a.m. to 5:00 p.m. at SOCO + The OC Mix where you can enjoy tons of festive fun including a holiday photo wall, free treats + hot beverages, a live DJ and more while finishing your holiday shopping! Looking to give your home a holiday refresh? Shop SONDER Living from November 23 through November 26, and enjoy 20% off storewide! For more information, visit SONDER Living inside HD Buttercup at SOCO + The OC Mix. Get your wardrobe holiday-ready with Kestan! Celebrate Black Friday, Small Business Saturday + Cyber Monday by shopping Kestan in-store or online from November 23-26 and receive 20% off any purchase, 25% off when you spend $100-$149 and 30% when you spend $250 or more! 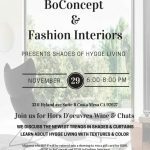 Join BoConcept + Fashion InteriorsThursday, November 29 from 6:00 p.m. to 8:00 p.m. for an evening of wine and small bites as you learn about Hygge living, plus the newest trends in shades + curtains. RSVP here to reserve your spot + to be entered into a drawing to win a $500 gift card! 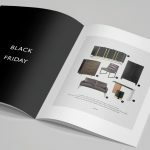 It’s the most wonderful time of the year – Modani Furniture’s annual Black Friday Sale! 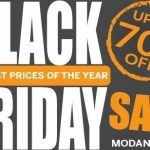 Now through Friday, November 23, shop Modani and save up to 70% on the furniture you’ve had your eye on all season. Tis the season to spruce up your space with a cozy sofa, elegant dressers, versatile chairs or a statement-making table from Calligaris – all at incredible values! Now through November 26, take 30% off MSRP when shopping the entire collection. 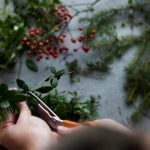 Join Alice’s Table x SOCO + The OC Mix Saturday, December 1 at 2:30 p.m. for a festive workshop where you’ll learn to create your very own holiday wreath for just $50! For more info and to reserve your spot, click here and be sure to use the code ‘SOCO’ to save $25 on your ticket! 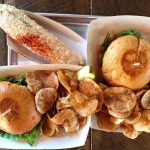 Take some time to refuel from your Black Friday shopping and dine-in with Tackle Box at SOCO + The OC Mix where you’ll receive 50% off the Blackened Salmon Burger PLUS enjoy happy hour pricing on drinks all day on November 23! 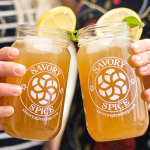 Buy $100, get $100 at Savory Spice Shop this season from November 23 through 25! Customers who spend $100 or more in one transaction will receive $100 in the form of ten $10 coupons to use in 2019.